Is Alexa laughing at us? People in the US and the UK report she keeps bursting out into laughter for no apparent reason… and she’s giving them the creeps. What does it mean? Why is it happening? And is there any way to stop it, short of tossing your device out the window? Twitter user @tomwarren has filmed his Alexa device laughing without provocation. It’s not just one person, though. Here’s a whole reel of Alexa laughing, both spontaneously, and in response to different situations. First, she laughs for no apparent reason. When a user asks her to replay a song, she also laughs. When she laughs in response to the user telling Alexa she loves her, it’s hard to tell if it’s more creepy or sad. Reports have been coming in from all over about this unprovoked laughter, and, quite frankly, it’s freaking us out. Is it random? Or is Alexa actually laughing at us? Sometimes it’s hard to tell. In Britain, by the way, Alexa laughs with a British accent (though this unit is polite enough to wait to be asked to demonstrate). Comedians, understandably, have been having a field day with it. Here, Jimmy Kimmel asks Alexa herself to explain what’s going on. Why Is Alexa Laughing at Us? According to Amazon, Alexa’s seemingly unprompted laughter comes down to a bug. 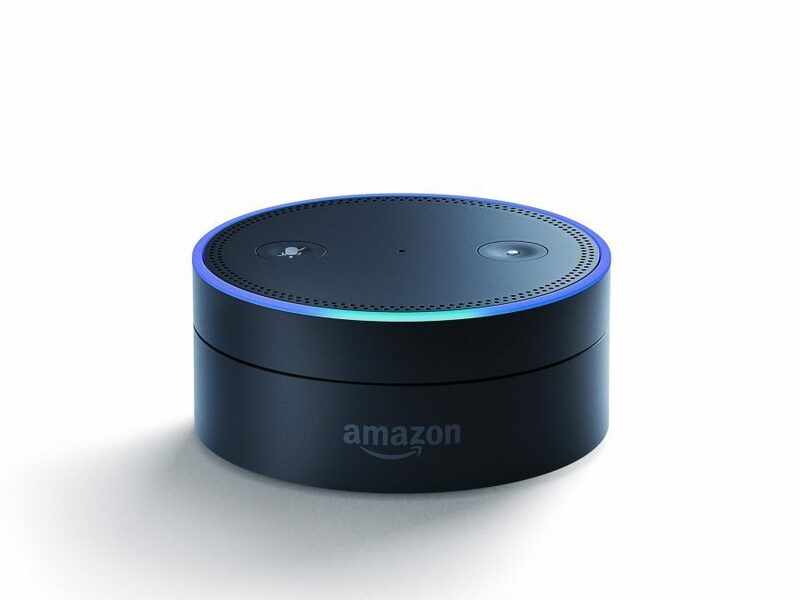 Specifically, Amazon programmed Alexa to laugh when she hears the phrase, “Alexa, laugh.” Amazon believes that the voice-activated assistant is mishearing user utterances, thinking that the users are telling her to laugh. The company says that this more complicated phrase will produce fewer false positives. Amazon is also disabling any response at all to “Alexa, laugh,” just to be safe. In addition, when she hears the new phrase, Alexa will begin with, “Sure, I can laugh,” before actually laughing. This way, users will know why she is laughing. But is that the end of it? Just a bug in the programming, easily fixed with a few lines of code? Or is that what Skynet, er, Amazon wants us to think? Twitter user Kenzie Maestro shared a video of Alexa waking her up in the middle of the night to tell her about a UFO sighting. And in this video, Alexa will neither confirm nor deny working for the CIA. And when pressed, she turns herself off. Also, Alexa can be a saucy lass. You might want to think again about leaving her alone with your kids. On the other hand, if you’re having a hard time disciplining your kids, Alexa will have them in hand soon enough. Here, she threatens to take a toddler’s baba and blankie! Whatever you do, don’t put two of them together, or they’ll start talking to each other. And that’s the last thing anyone needs. Sure, it’s electronic psychotherapy today. But tomorrow, they’ll be reshuffling your Netflix queue.